Optional Protocol to the Convention on the Rights of the Child regarding the complaints procedure before the Committee on the Rights of the Child, 2011. 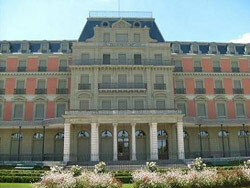 Optional Protocol to the Convention on the Rights of the Child on a Communications Procedure, 2011. 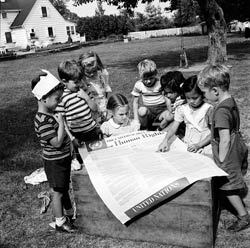 On November 19th 2011, the General Assembly of the United Nations adopted the Optional Protocol to the Convention on the Rights of the Child on a Communications Procedure. This protocol has been in force since May 28th, 2012. Thanks to the coalition of 80 NGO’s working for the respect of global Rights of the Child, a third protocol was adopted by the UN General Assembly December 19, 2011. 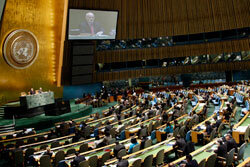 The United Nations Committee of Human Rights accepted this protocol unanimously on June 17, 2011. Each State that ratifies the Convention, can, if desired, become a part of the Third Protocol. The new protocol allows every child to file individual petitions with the Committee on the Rights of the Child. Initially, as stated by the Convention, there is no mechanism for filing individual complaints. State parties to the convention must submit reports describing the situation of children within their state to the Committee on the Rights of the Child. This new protocol will reinforce these pre-existing methods. If a child believes their fundamental rights were violated, they can file a complaint to the Committee. The complaint must be written. These conditions limit the use of this petition, specifically the time limits for lodging a complaint before the Committee. The inquiry procedure allows the Committee to take action upon receiving serious information of grave violations of the Convention or its Protocols. Therefore, there is no need to file an interstate or individual petition; this procedure is independent. The Committee can send on-site observers who verify the accuracy of the reported information. This procedure is confidential. Limitations : In order to implement the procedure, the Committee must receive the consent of the state to initiate an investigation. However, as the states feared a systematic procedure, it became optional. The States is free to recognize it or not. The protocol also allows a State party to file a complaint against another state, also a party to the protocol. The state prosecutor must then send a complaint to the Committee on the Rights of the Child. In practice, interstate complaints have only rarely been registered as legal instruments in relation to human rights. At the European level, interstate complaints have already been used in front of the European Court of Human Rights, but it has not often happened. Until then, the ICRC was the only legal instrument on Human Rights not to have a process for filing individual complaints. For example, the Convention against Racism of 1965 and the Convention against Torture of 1984 included individual petitions before an appropriate Committee. Additionally the Convention on the Elimination of All Forms of Discrimination Against Women of 1979 and the Convention regarding the rights of the disabled of 2006 included an Optional Protocol allowing individual petitions. The possibility of introducing a collective complaint was not established in the Final Project of the Third Protocol. This procedure would have given to independent institutions in the field of Human Rights, NGO’s or mediation institutions recognized by the Committee on the Rights of the Child, the right to file complaints for violations on the Rights of the Child. See the final text of the Third Protocol presented by the Committee of Human Rights to the United Nations General Assembly for adoption. Standard references on child’s rights.